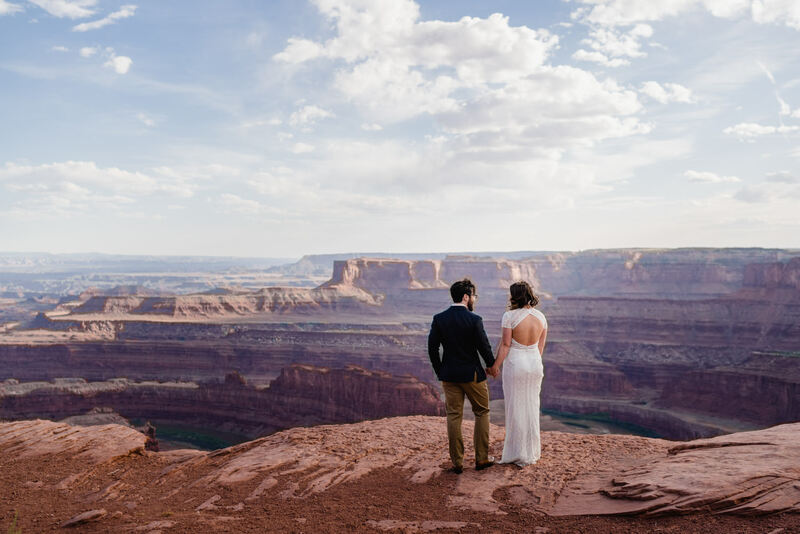 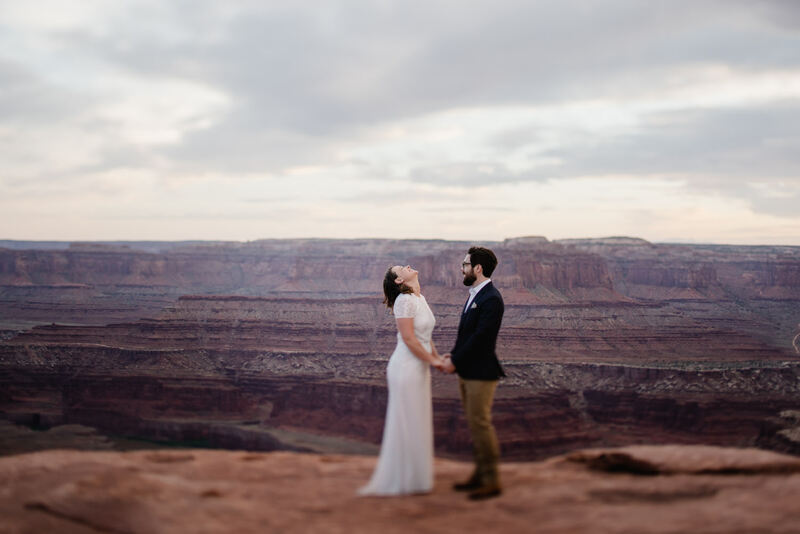 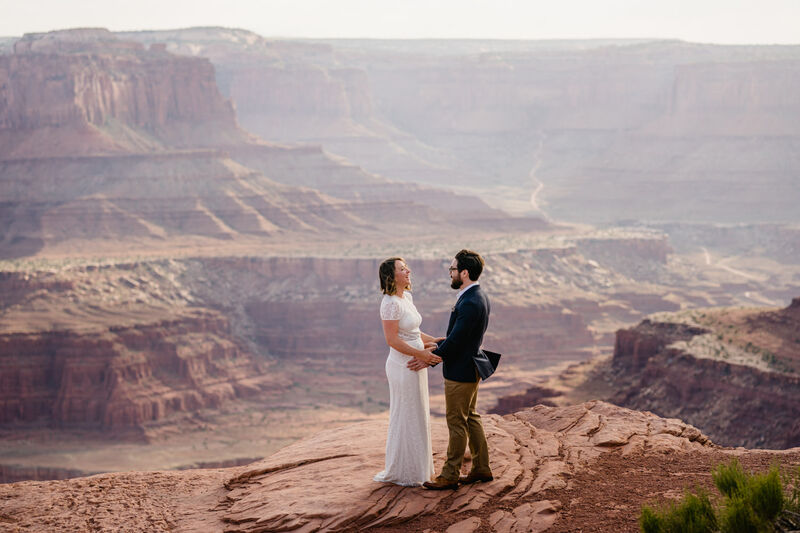 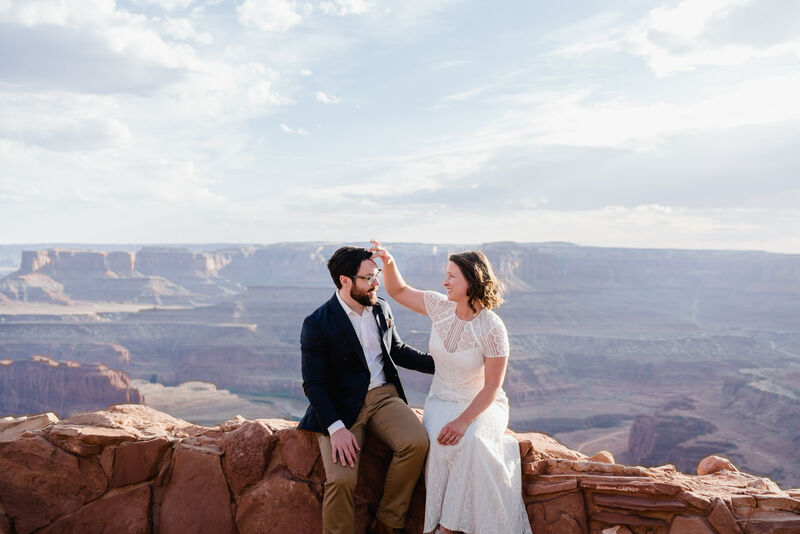 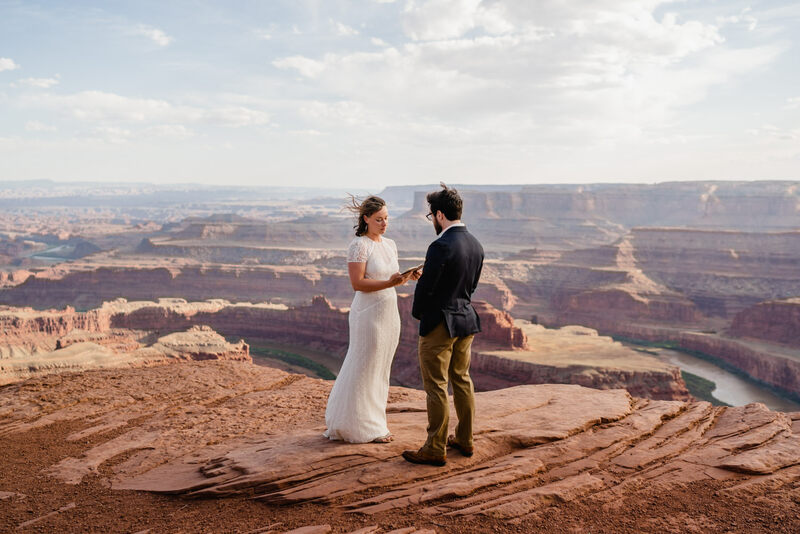 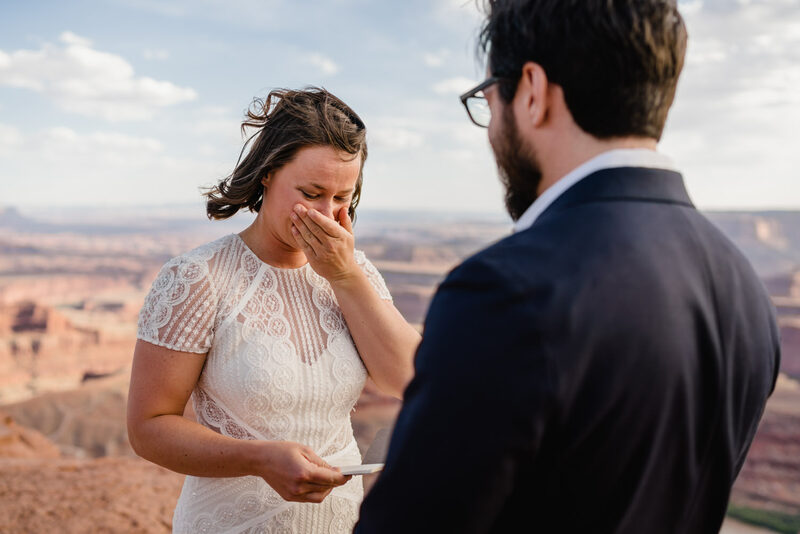 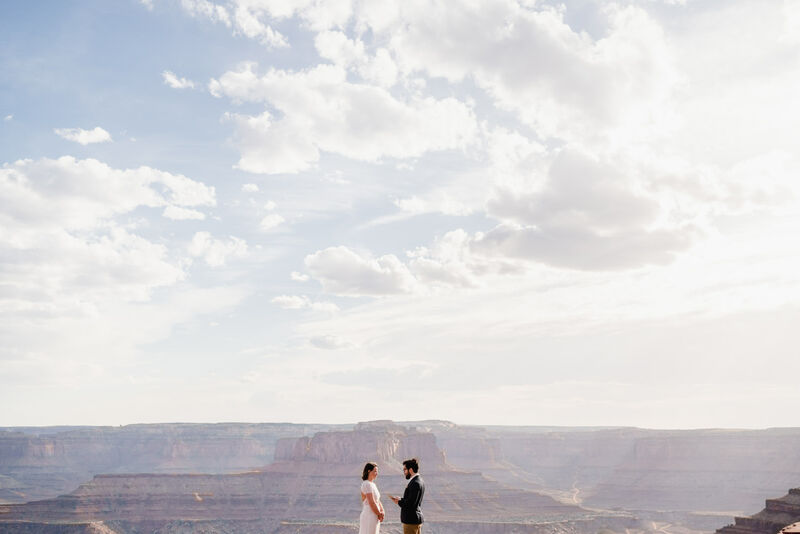 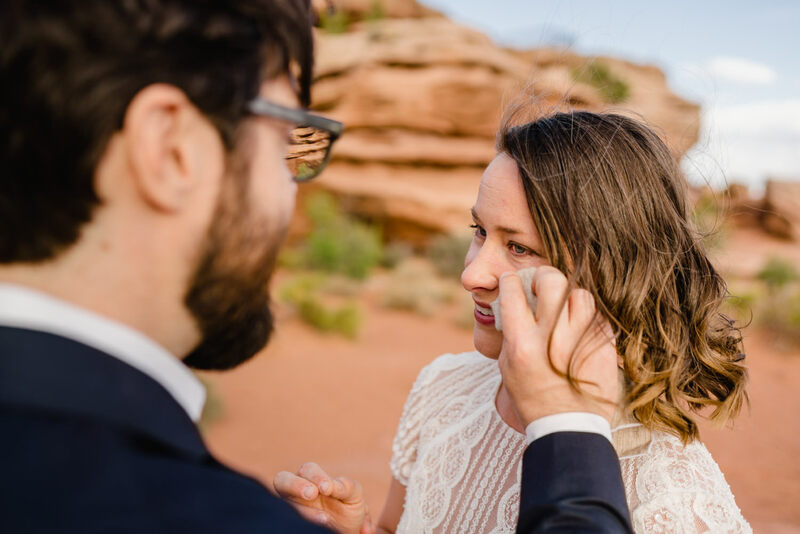 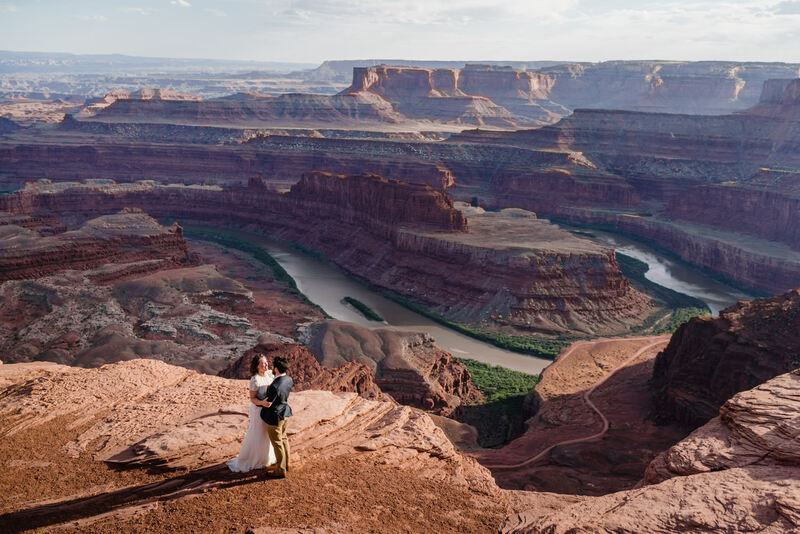 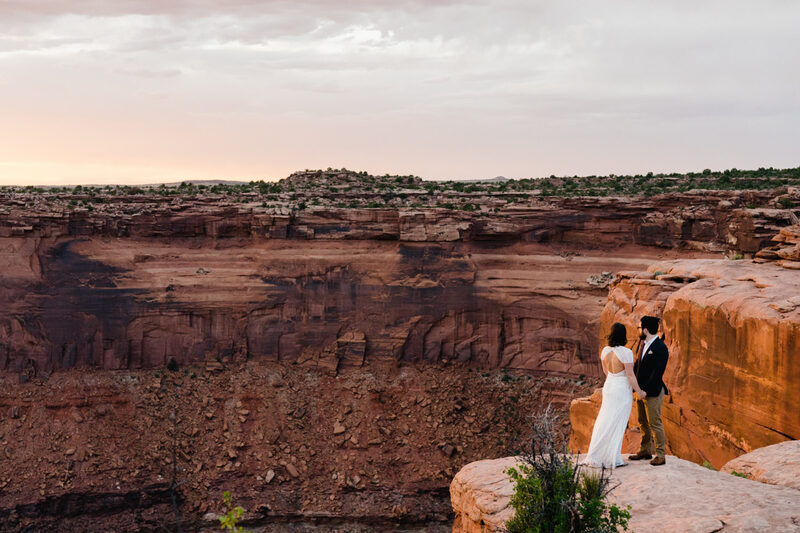 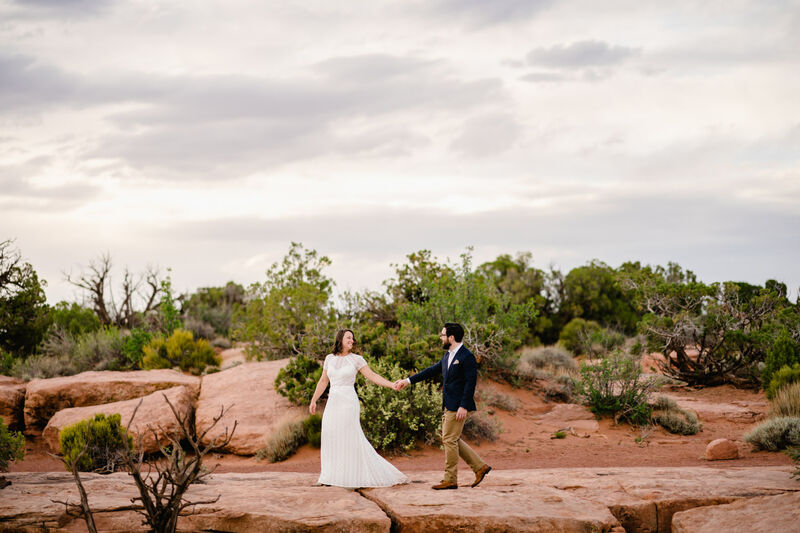 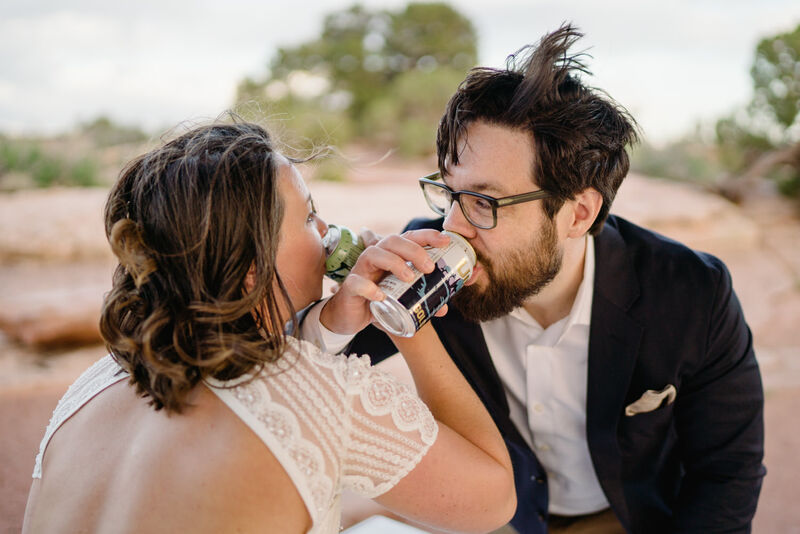 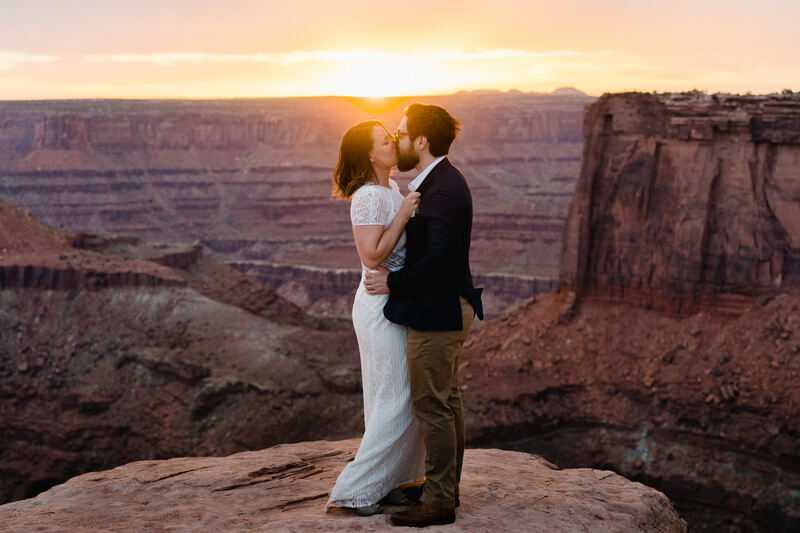 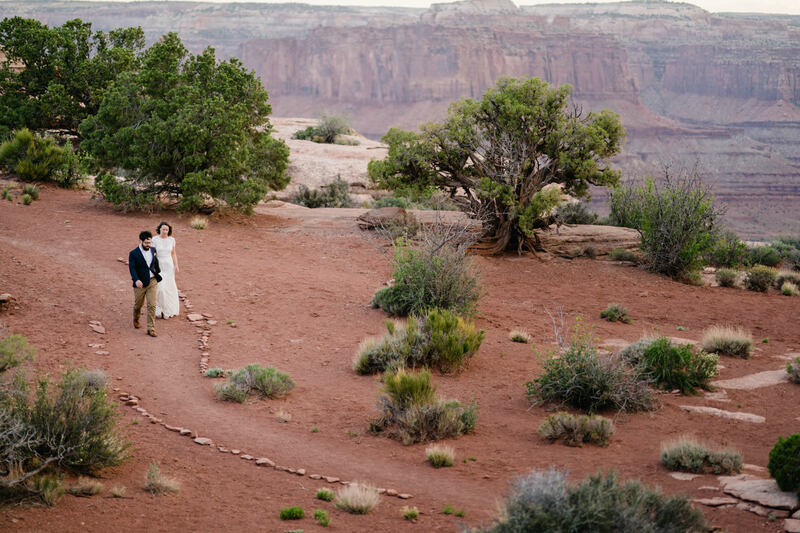 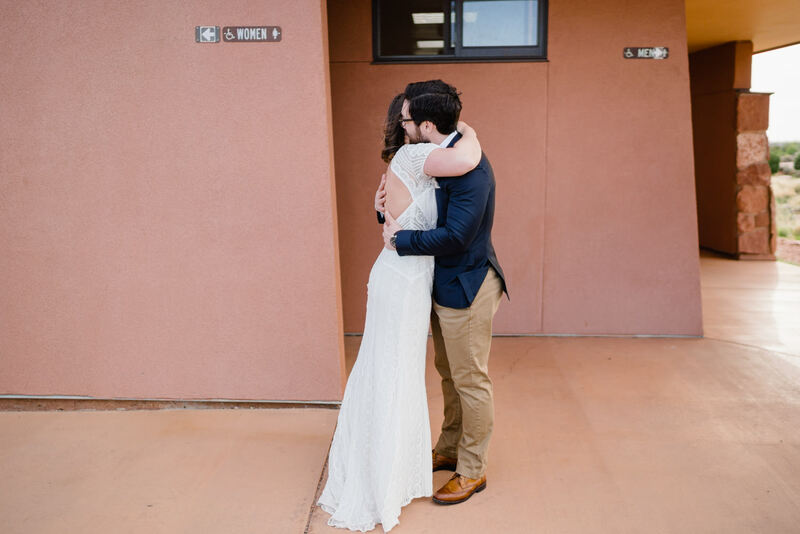 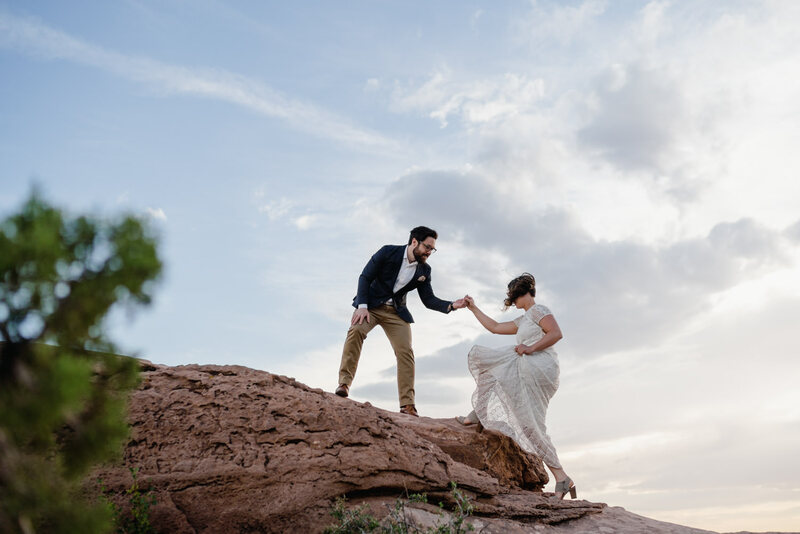 This Dead Horse Point elopement with Victoria and Cam had me feeling all the feels. 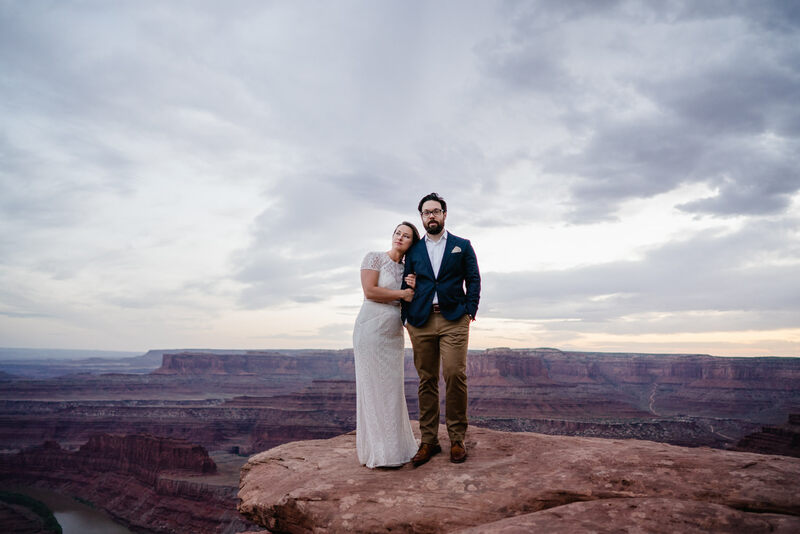 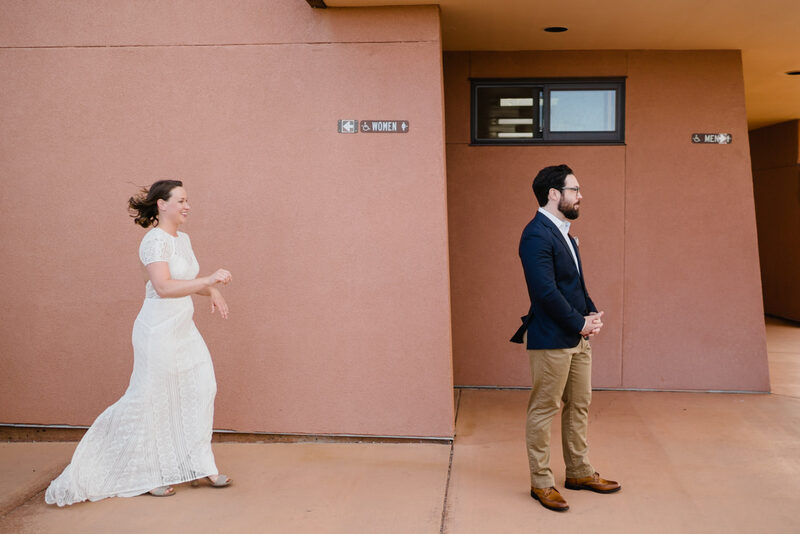 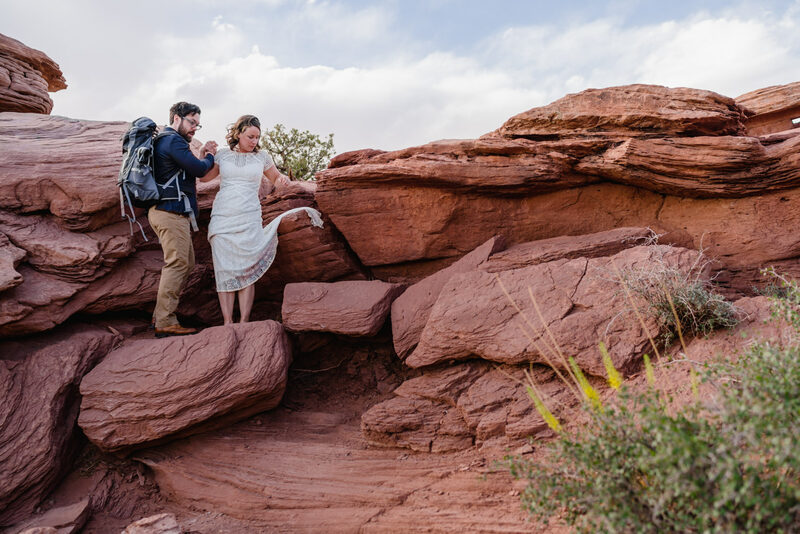 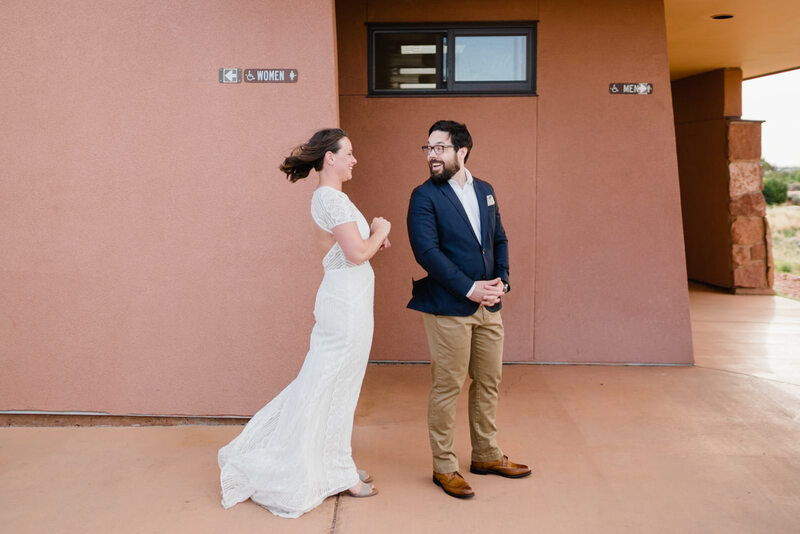 The two Canadians made the trek to Moab, Utah, as the scene to say their “I do”s. 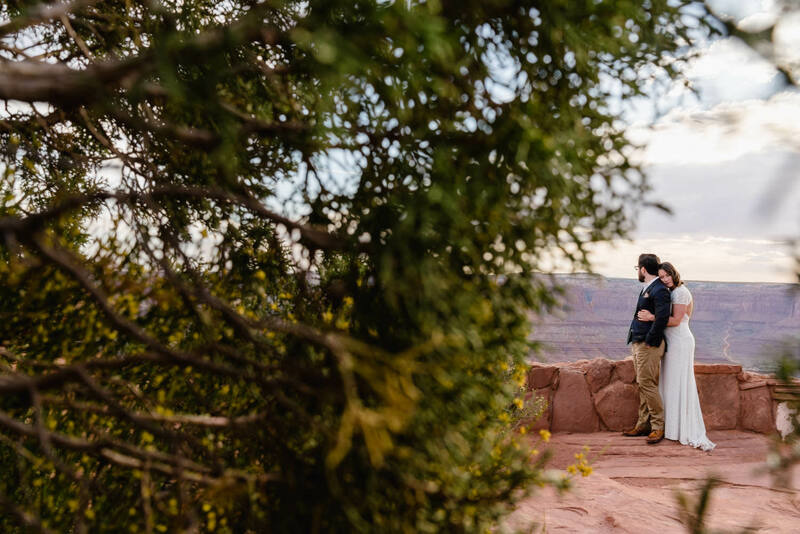 The red rocks and desert environment touched them on a vacation years ago, so much so they knew they had to return. 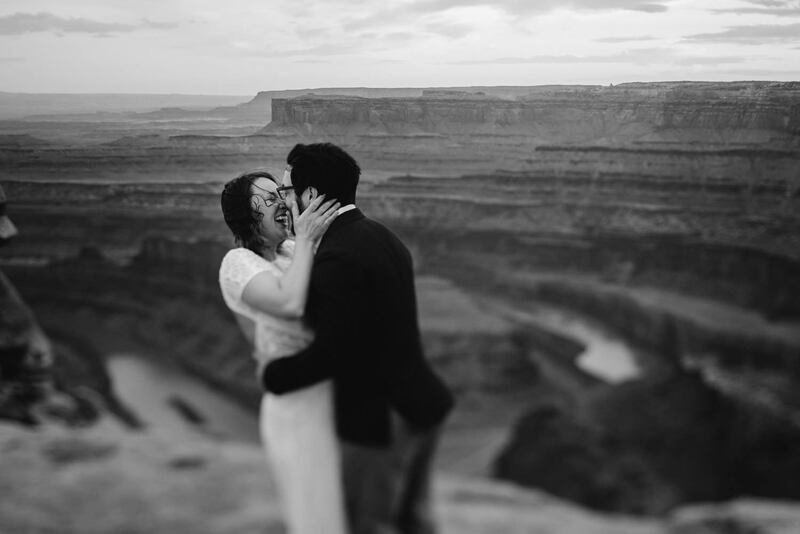 With wind in they hair, they two said beautiful vows on the edge of a 2,000 foot cliff. 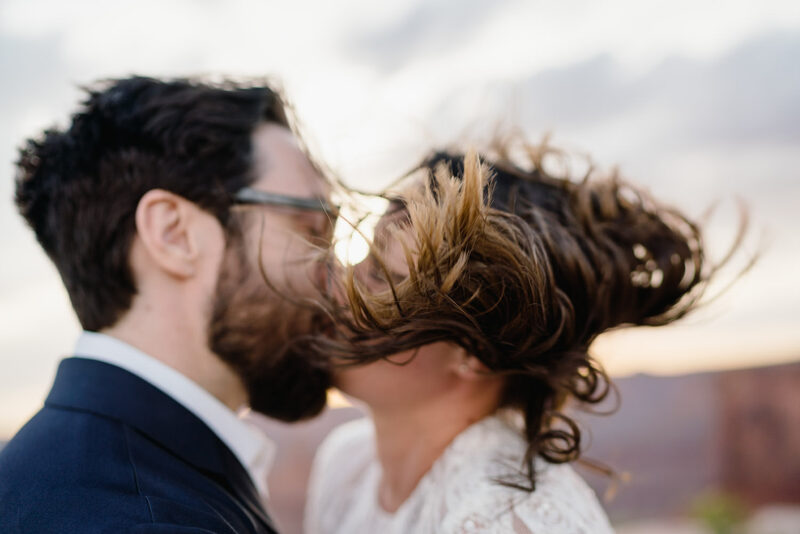 We then ventured around the point to more epic portraits. 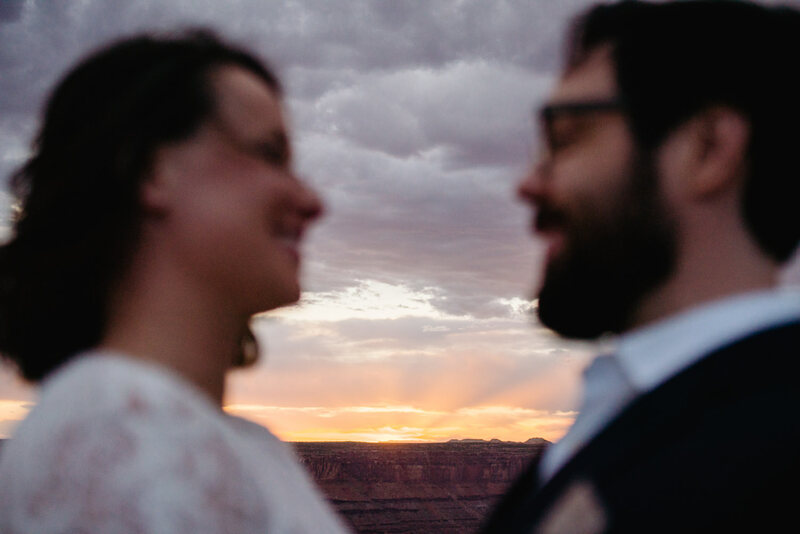 The sunset, while it rarely disappoints at Dead Horse, was one of the best that we’ve seen. 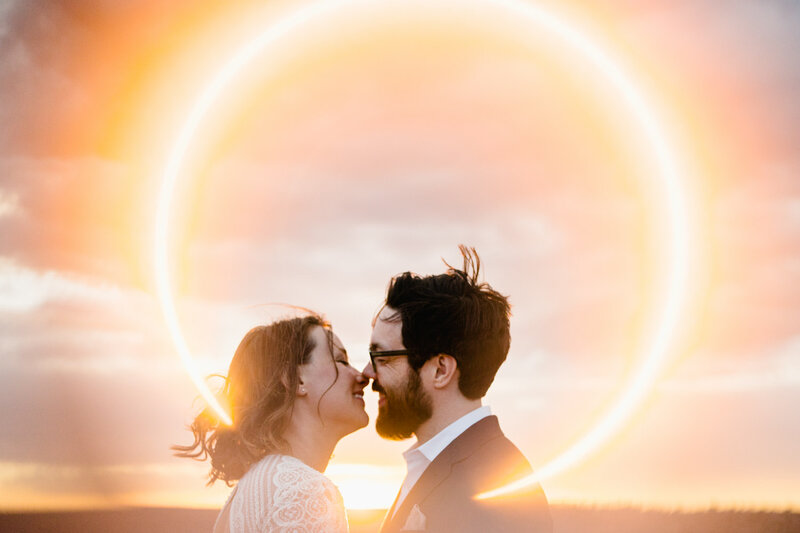 It poked out from behind a cloud for about 10 glorious minutes, and then it was go time! 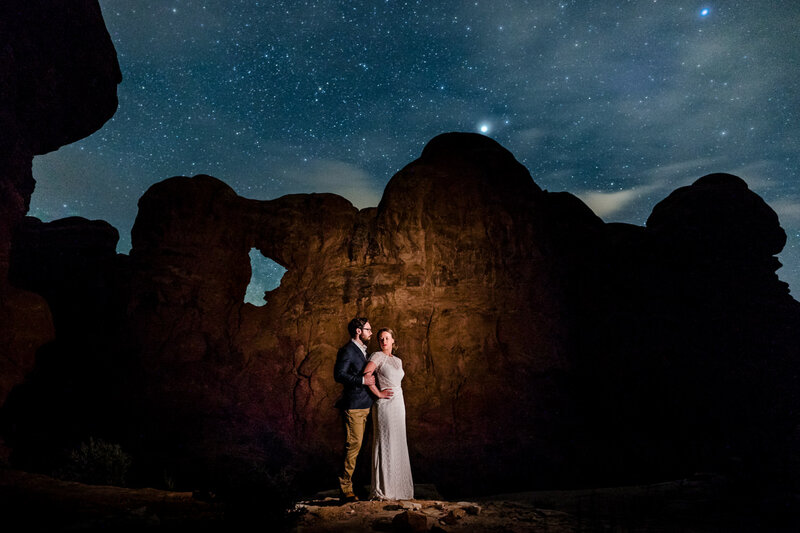 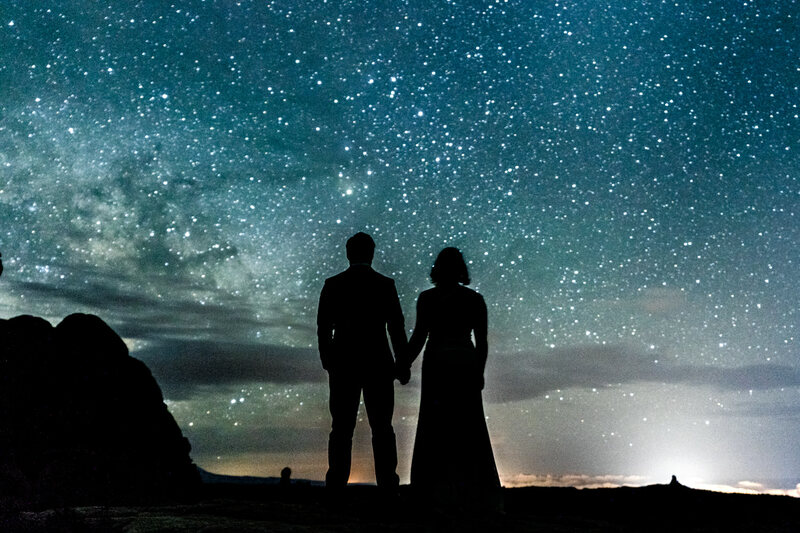 We ended the elopement session at Arches National Park for a night sky session. 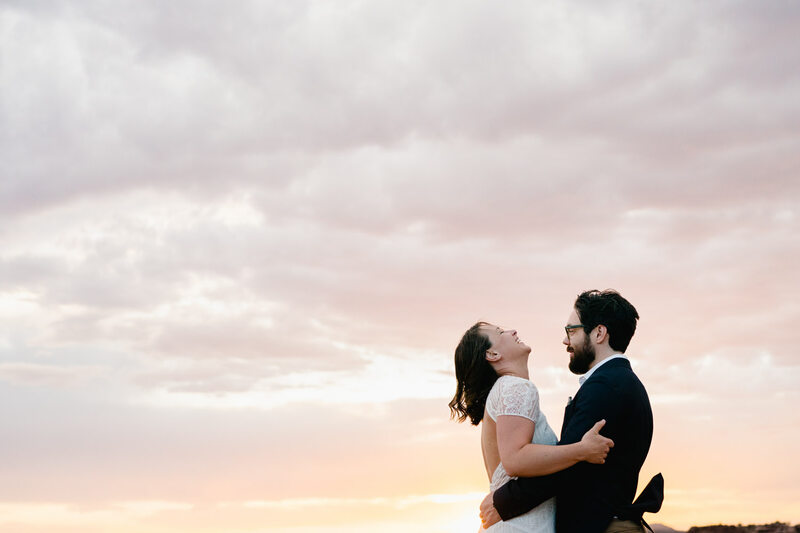 Much like the heroic sunset, the clouds parted just as we started shooting, and we were able to make some iconic starry photos, which we didn’t think would be a possibility. 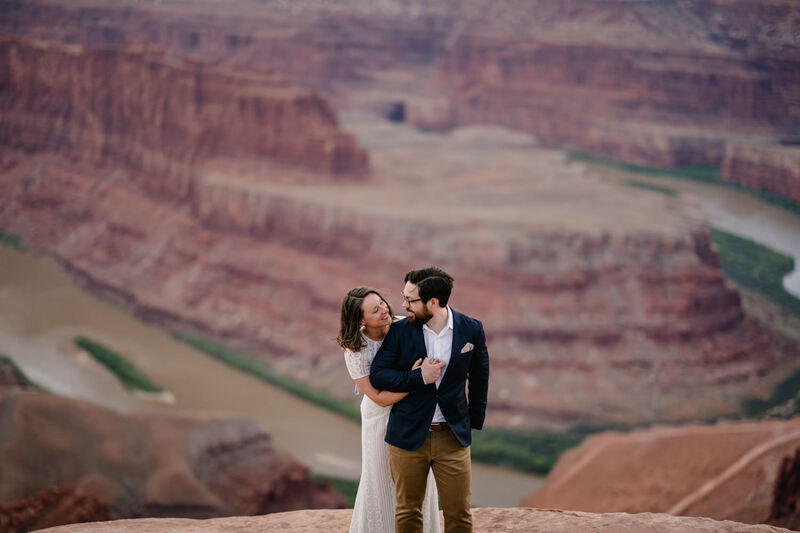 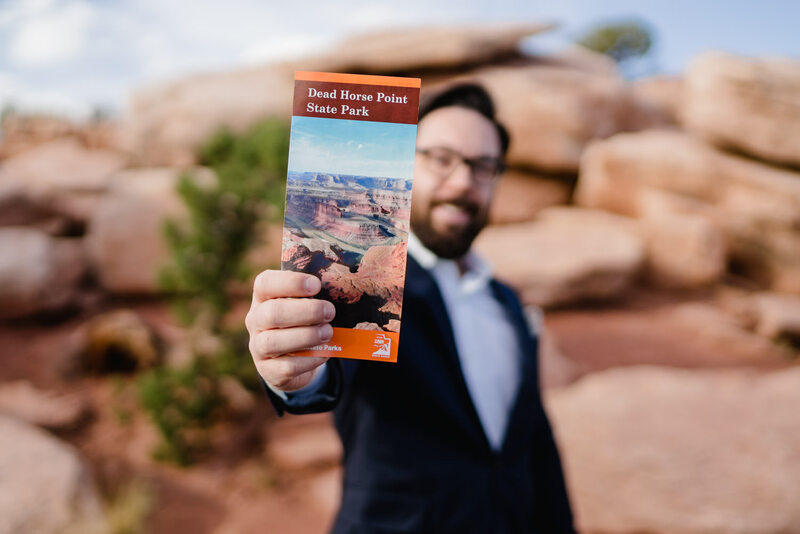 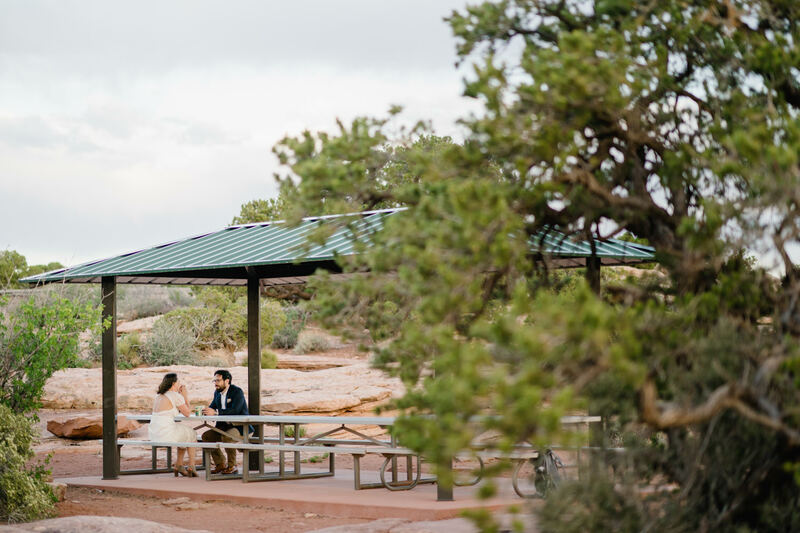 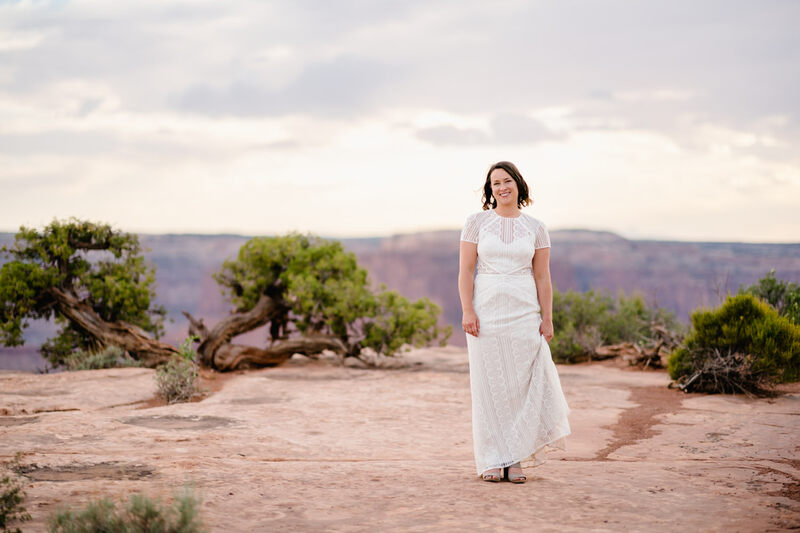 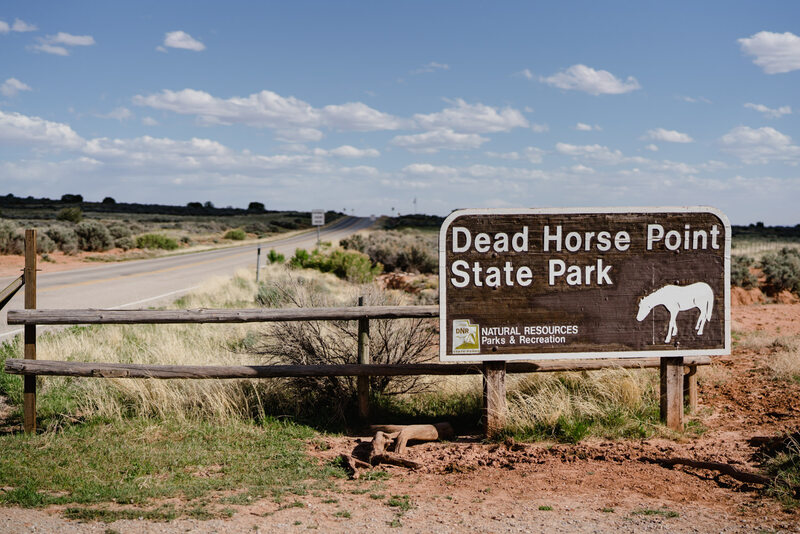 If you’d like to elope at Dead Horse Point State Park, contact me, and I’d be more than happy to help you plan your day!